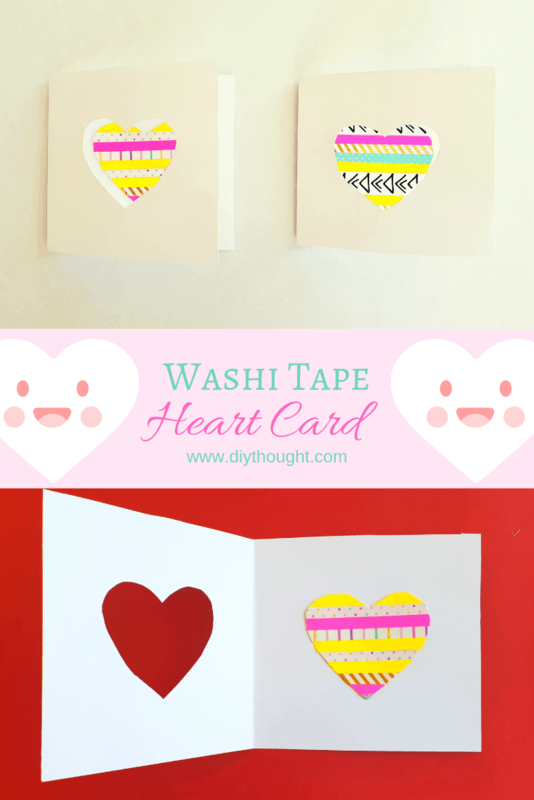 It is almost Valentine’s Day so I thought it would be fun to make my family an easy washi tape heart card each. 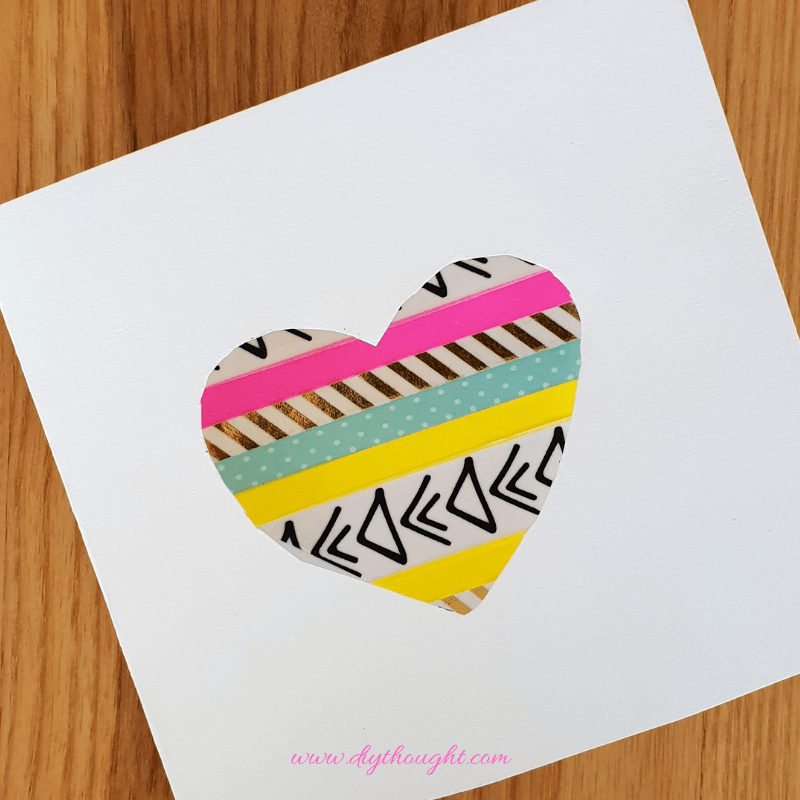 A super easy and quick card to make makes it the perfect last-minute DIY Valentine’s Day card but this heart card is great for almost any celebration, birthday, new baby, or wedding! One thing is for sure, anyone receiving this card will appreciate the time, effort and love spent on creating this personalized card. These cards are super easy to make. Chances are you have everything you need already at home! Fold your cardstock into your desired card size. I made two cards from a single A4 size piece of card and used the spare card from this sheet to make the heart. Using a piece of scrap paper draw a heart. Fold the heart in half and choose the best side to cut around. Cut your paper heart out. Take the paper heart and lay in on the center of the folded card. Draw around with a pen or a pencil. Carefully cut the heart shape out. 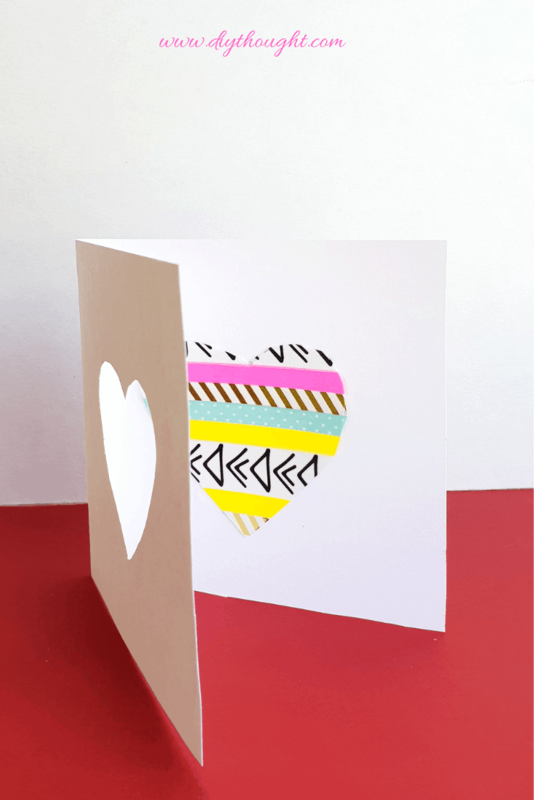 Using spare cardstock draw another heart and cut out. This heart will be used to make the washi tape heart. 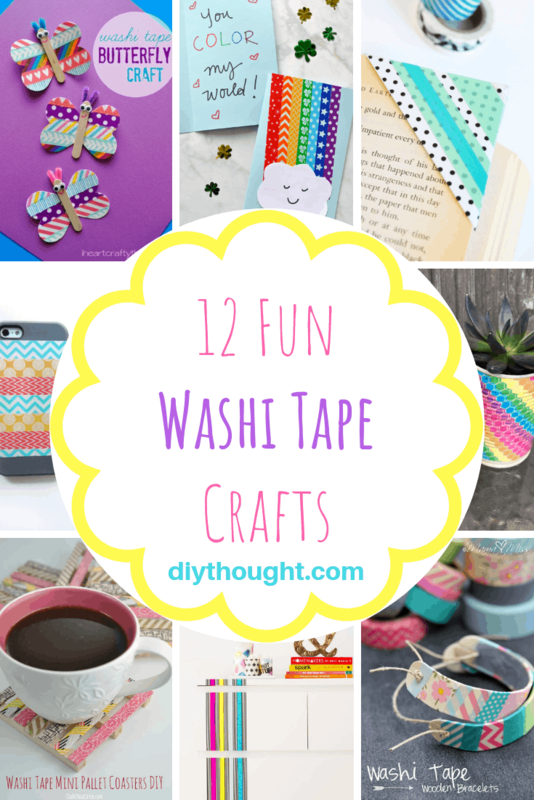 To make the washi tape heart place it on a table. Take strips of washi tape and place onto the heart, sticking down well. 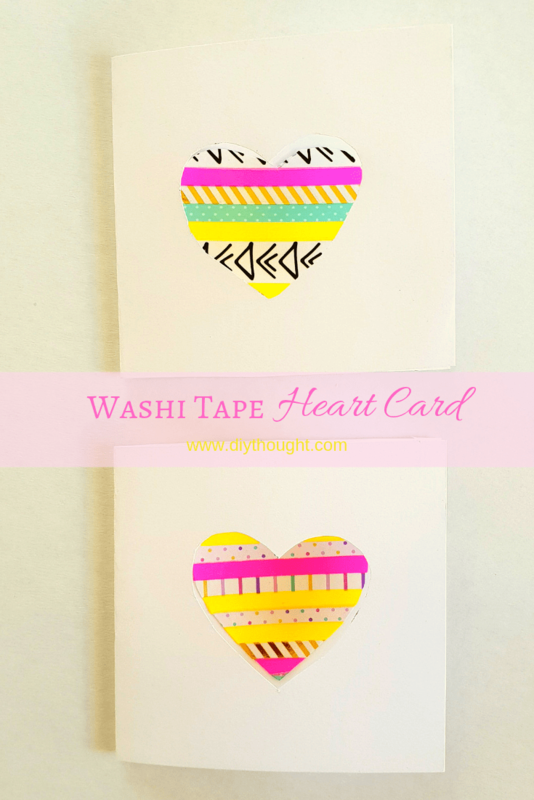 Peel the heart off the table and stick the overhanging washi tape to the back of the heart. 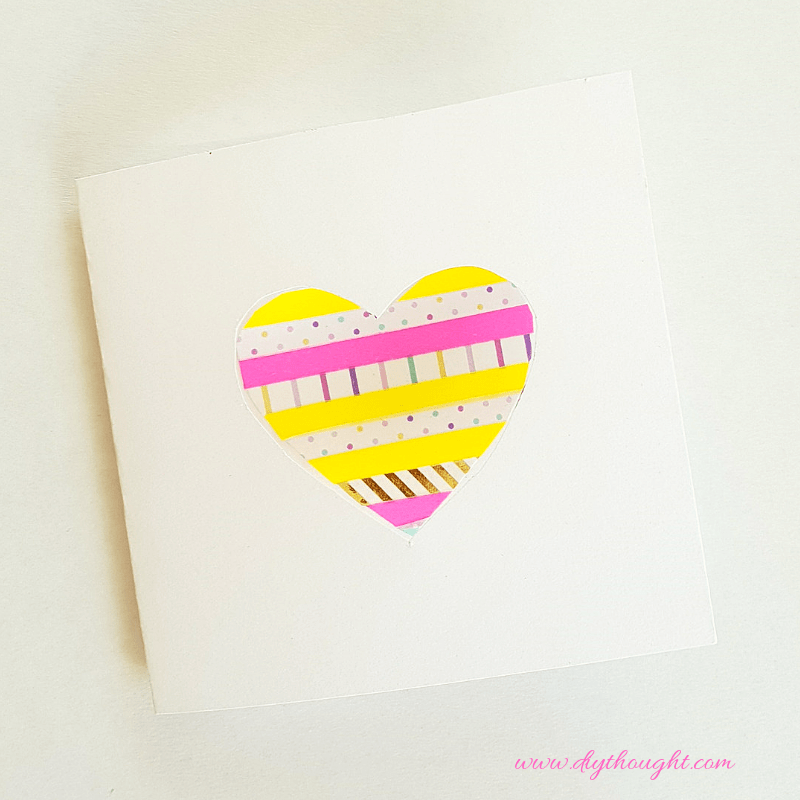 Using glue stick the washi tape heart to the inside of the card.